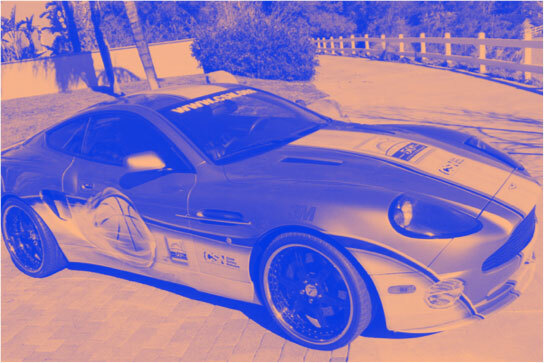 As part of the 125-year celebration of basketball, the Naismith Memorial Basketball Hall of Fame is auctioning a 2002 Aston Martin Vanquish. Yes—just like the one James Bond drove. But Bond did not have a custom-painted Aston Martin featuring more than 75 autographs from NBA Hall of Famers. The official car of the Hall of Fame’s 50th Anniversary, this silver, 6-speed, V12 Aston Martin features a custom basketball wrap. 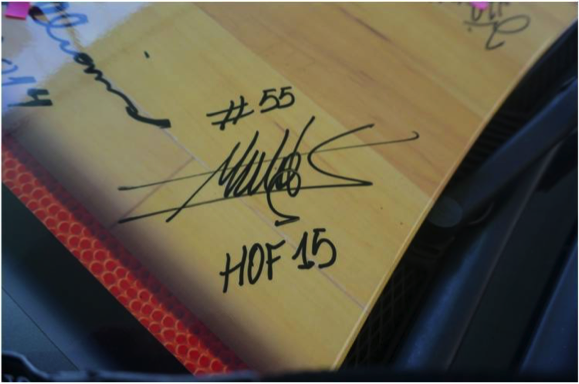 Notable signatures include hoop legends like Michael Jordan, Charles Barkley, and Bill Walton. Get in on the action, and bid on this piece of history. The auction proceeds benefit the Naismith Memorial Basketball Hall of Fame and its educational outreach initiatives with youth across the country.